Seuss was a racist! Green lives matter! 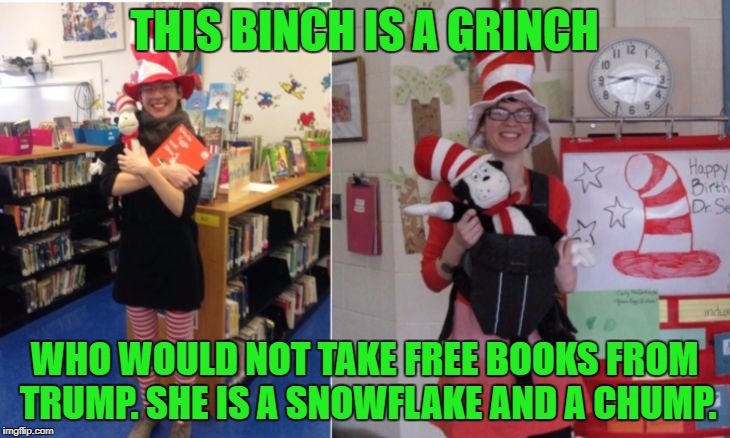 THIS BINCH IS A GRINCH; WHO WOULD NOT TAKE FREE BOOKS FROM TRUMP. SHE IS A SNOWFLAKE AND A CHUMP.